Leonhards work does include Car Styling contributions for magazines. The designs added were done for international publications like Hot VWs, Custom Rodder, VW Scene, Chrom & Flammen and many others. The artworks were created using airbrush and mixed media on white cardboard. 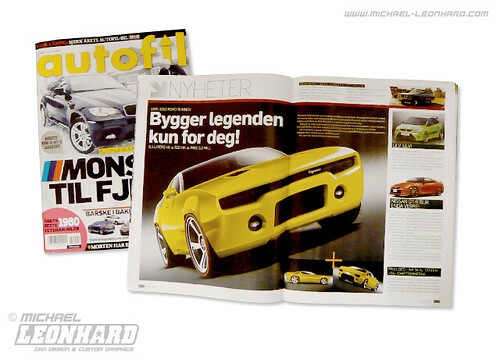 The biggest car magazine in Sweden – Autofil – brought an article about the Road Runner Concept in their January 2010 issue. You are currently browsing the Michael Leonhard's Blog blog archives for February, 2010.